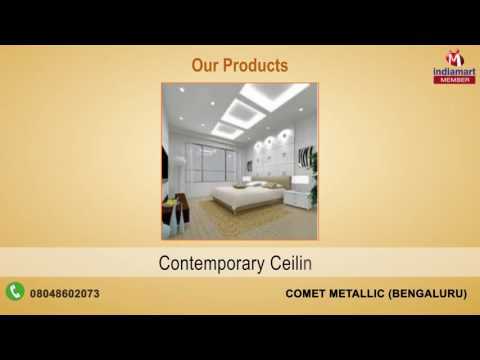 Comet Metallic was established in 2006 and is operating as a manufacturer and supplier of Metal False Ceilings & Paintings. Our product range comprises Metal Ceilings, False Ceiling, Metal False Ceiling. The offered products are highly regarded for being elegant in terms of design, resistant to wear & tear, long lasting, non-abrasive and requiring least maintenance. These products find wide usage in a gamut of sectors including residential, commercial and industrial for the purpose of decoration.